People pay us to be control freaks. As an event planner, our clients want to rest assured that we have got it all under control. Every “I” dotted, every “T” crossed. And being a control freak isn’t all bad, it means you pay attention to the details and have high standards. 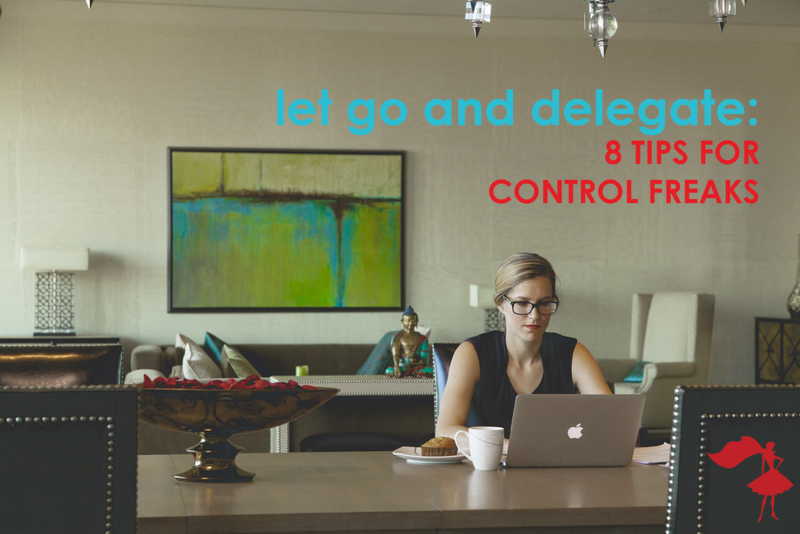 But what happens when your need to be in control stops you from delegating? Red flag, red flag, warning, warning! It leads to inefficiency, low morale in your team and worst case scenario – total burnout. And your clients don’t want that. This one should be obvious – if you hire a capable, enthusiastic member of staff, you’re going to have someone you can trust. The more you trust someone, the easier it is to delegate, knowing the job will get done (and done right.) Check out our previous posts on hiring the best person for your team here. Once you get to know them and their capabilities, it’ll become easier to trust them. Learn their strengths and weaknesses so you can match tasks accordingly. I was once asked to create a promo video for a company despite telling them in advance that it wasn’t part of my skillset. It was a nightmare. Delegate appropriately. Do you really believe that you’re the only person who can do all those tasks to a high standard? You might be good, but you’re not that good. You can’t do it all – If anything, you’re causing inefficiency. If you’ve built the right team around you, they should be able to pick up a lot of your tasks, leaving you free to focus on the stuff that they can’t cover and keeps the lights turned on. 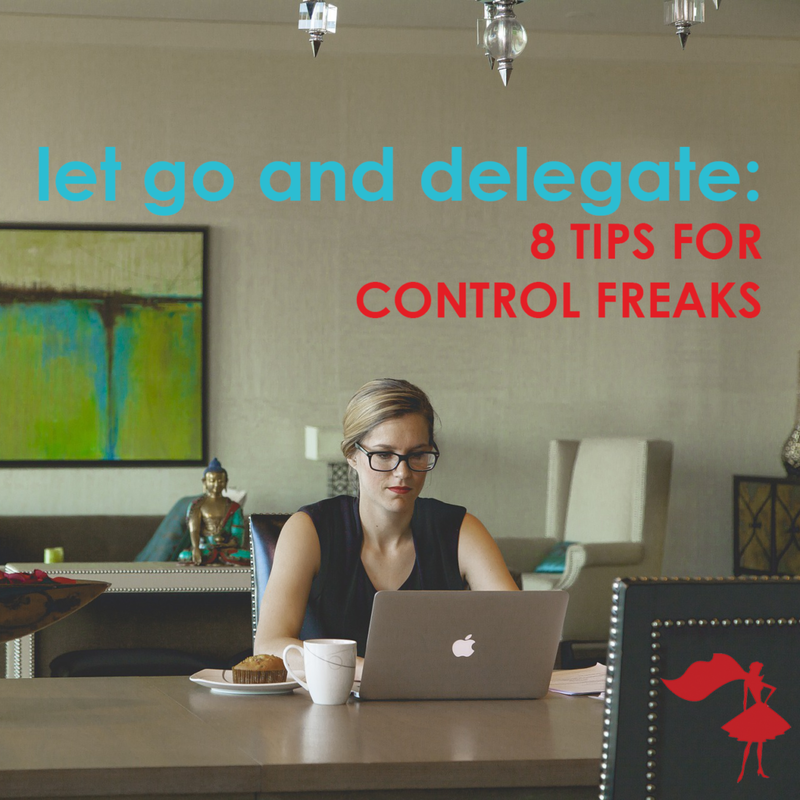 Going from a control freak to a expert delegator isn’t going to happen overnight. Start with the tasks that you’re not so worried about – admin tasks are good for this. Perhaps have someone to answer basic inquiries and frequently asked questions so you don’t have to spend time replying individually to each and every email. Maybe create a list of template email responses that people can use and save them to your shared Dropbox files? Once you’re comfortable handing over control for the smaller things, work up to bigger tasks. You might think this is wasting time but in the long run, you’ll save yourself time and stress and that team member will know how to complete the task next time without your guidance. This way you can make sure the task is being completed to your standards, you can give advice or constructive feedback if something needs to be changed. It also means your team members feel supported and you don’t feel the need to look over their shoulder all the time. You should be doing this already, but when we’re busy and under pressure, we sometimes let things slide. Create documents and checklists that anyone can follow and you’ll be able to hand over tasks with minimal guidance. This is useful when onboarding new hires, training interns or even to help keep things running when a member of your team is sick. Interns can save you a huge amount of stress and time by taking on some of your tasks. Also, it’s a great way for them to get hands-on experience and continued learning. However, they do need training and guidance. Training might sound like a lot of effort but once you’ve done it and have fully capable interns, you won’t understand how you survived without them. The Apprentice Program is designed to help event planning firms who don’t have the time or resources to develop an internship program from scratch. We save you time, reduce stress and help you book more brides. Your interns get trained in the critical topics of event planning and we provide all the tools you need to teach them exactly how your firm plans events. We also provide weekly homework assignments and use video lessons to make the training engaging and interactive. This gives you more time to focus on sales and client relations. The time is now to pre-order The Apprentice Program now for Fall 2016, just $75/intern. Just click the button below!